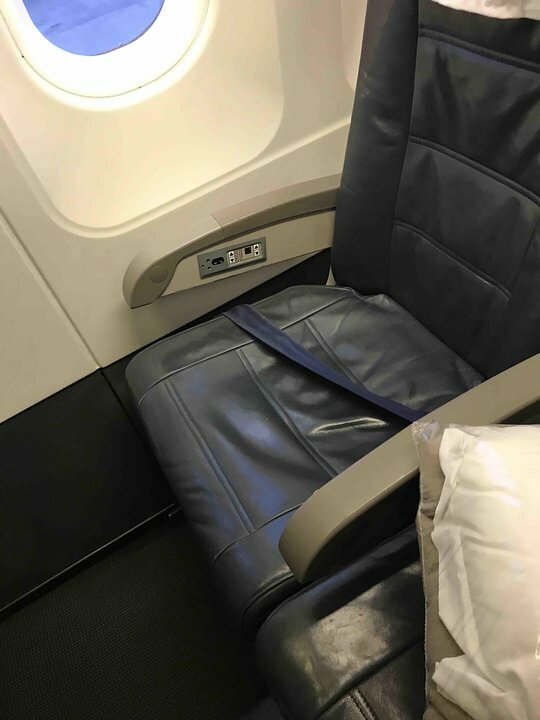 1 A None No Power Seat 1 A is a Premium Economy Class Bulkhead seat whose close proximity to the lavatory and galley may be bothersome. 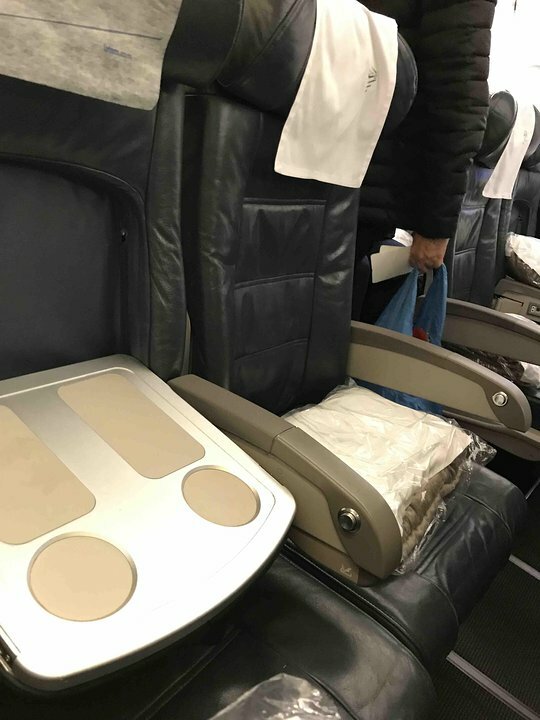 There is no floor storage for this seat during take-off or landing. 1 C None No Power Seat 1 C is a Premium Economy Class Bulkhead seat whose close proximity to the lavatory and galley may be bothersome. There is no floor storage for this seat during take-off or landing. 1 J None No Power Seat 1 J is a Premium Economy Class Bulkhead seat whose close proximity to the lavatory and galley may be bothersome. There is no floor storage for this seat during take-off or landing. 1 L None No Power Seat 1 L is a Premium Economy Class Bulkhead seat whose close proximity to the lavatory and galley may be bothersome. 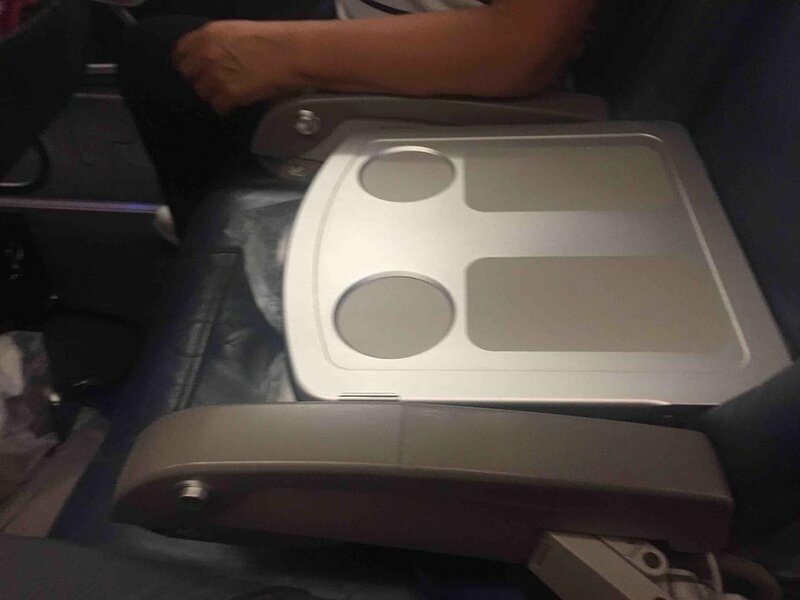 There is no floor storage for this seat during take-off or landing. Premium Economy offers seat-back TVs with video onDemand featuring over 30 movies and 50 TV programs. There are overhead screens in Economy. LATAM flies the Airbus A320 in three different configurations. This version has 162 seats in a two-class configuration of Premium Economy and Economy. 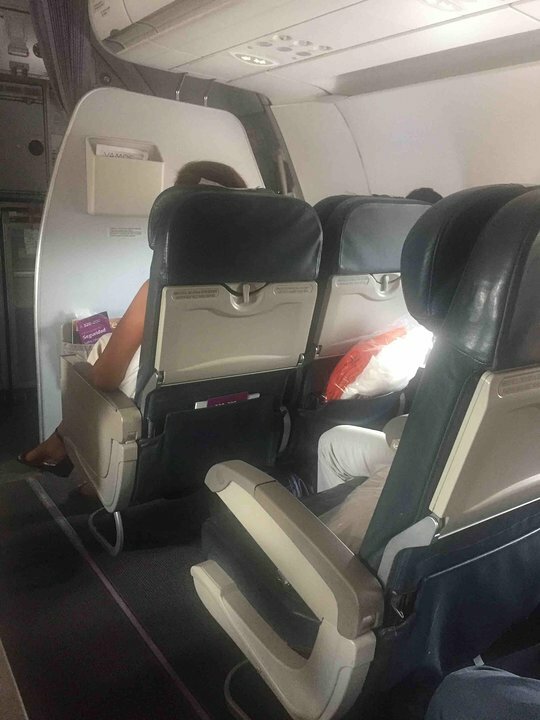 I took the LAN A320 from Santiago to Sao Paulo and the space was so small and my legs don't fit if the passenger in front reclines his seat. 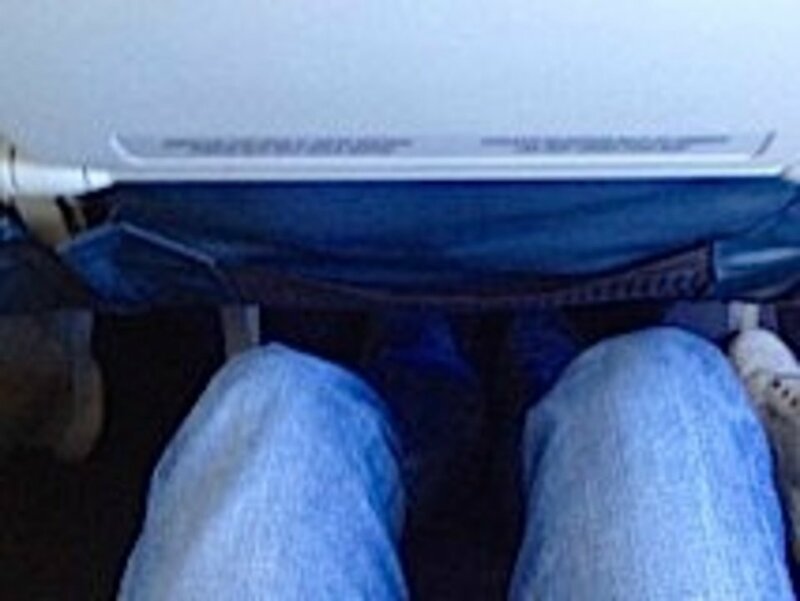 It may be ok for domestic flights but totally unacceptable for 4 hour internetional flight. The LAN A320s are quite dense with no IFE, fine for a quick hop but not for a 4 hour international flight, better to fly one of the widebody jets if you can. Espacio reducido, duro, aceptable para vuelos cortos nos mas de una jora para vuelos internacionales o largos resulta ser un muy mal avión.